You read this first here. Please like Durian Runtuh Facebook page and follow Harga Runtuh Twitter to receive more Grab & Uber free rides & promo code discount! Did you know that Sarawak's first Cabinet was formed on 22nd July 1963 and was then known as the Kingdom of Sarawak. In celebration of Bumi Kenyalang we want to help you explore its beautiful cities. 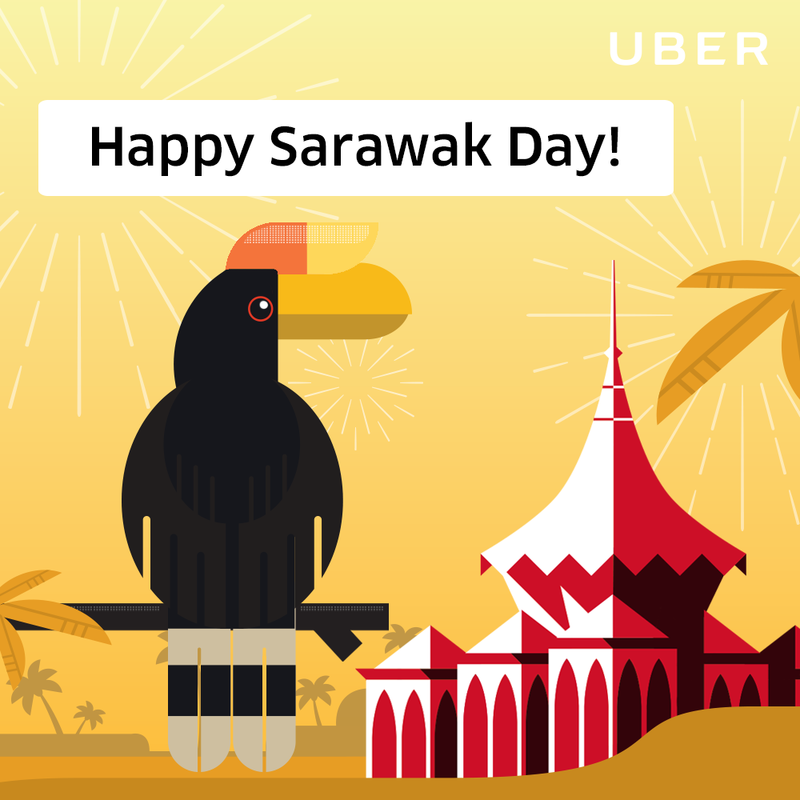 Use the Uber promo code SARAWAKDAY to get free rides all weekend in Kuching and Miri. Sarawak Day celebrates the establishment of self-government in this beautiful state. We’re sure each and every Sarawakian is incredibly proud of their home state, and nothing unites people more than the local delicacies. To celebrate, we want to take you on a little food tour of the local dishes, but you can try them all for yourselves too! Just use the Uber promo code SARAWAKDAY to Uber to your favourite meal this weekend. Manok Pansoh can be found in LEPAU Restaurant (Kuching). Our first stop is the Manok Pansoh, which hails from Iban and Bidayuh origins. 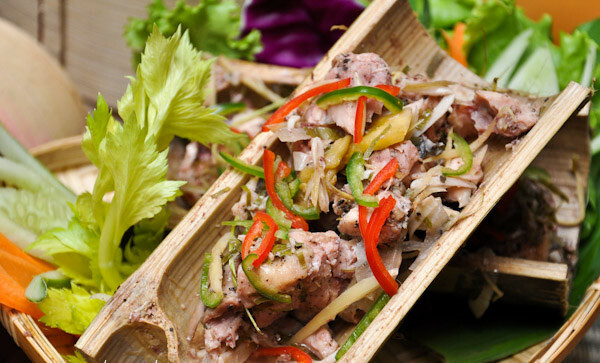 Usually a companion for Gawai celebrations, this unique chicken dish is combined with tapioca leaves and lemongrass before being grilled inside a bamboo. The time over the open fire produces a sweet chicken broth. Umai can be found in Basaga (Kuching). 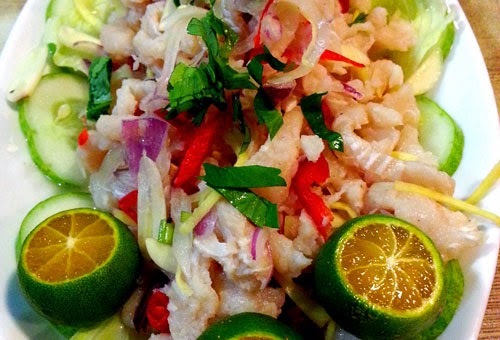 Next, we’re stopping for Umai, the Sarawakian ceviche, that’s a staple among the local fishermen. This Melanau favourite is made of slices raw tenggiri, then cured in onion, chilli, salt and calamansi juice. This tangy medley is then eaten with roasted sago. Nuba Laya can be found in The Summit (Miri). Our last stop explores the Nuba Laya. Famed for the superiority of their grain, this Kelabit dish is traditionally made with home-harvested rice. 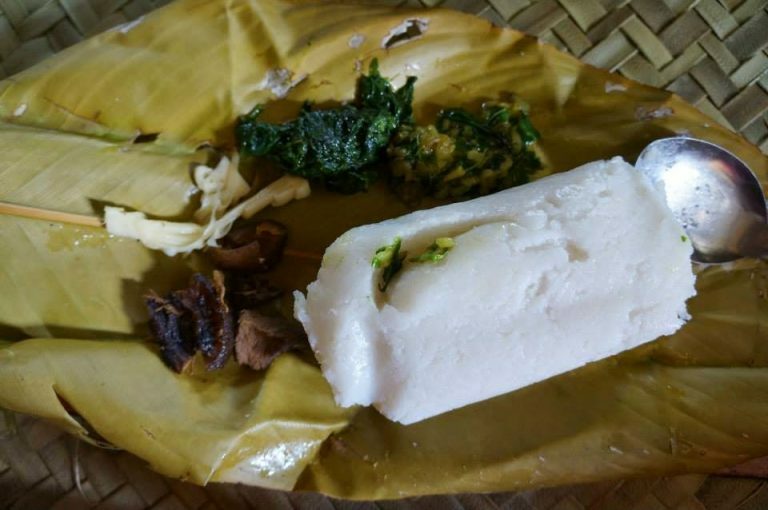 To create this, hot crushed rice is hand wrapped in a daun itip, to sweeten the flavour of the rice. Nuba Laya is the star of most Kelabit meals and is paired with other Kelabit lauk pauk.